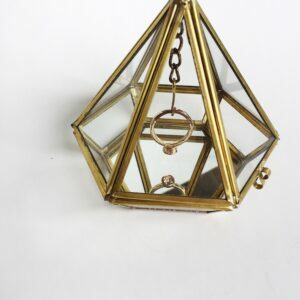 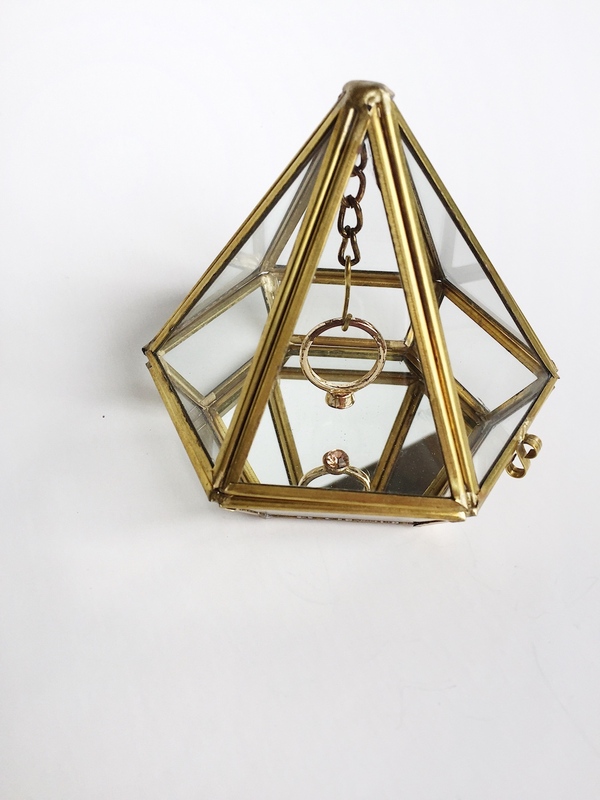 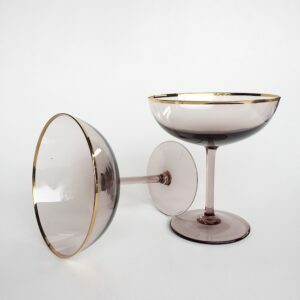 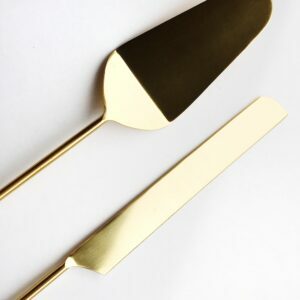 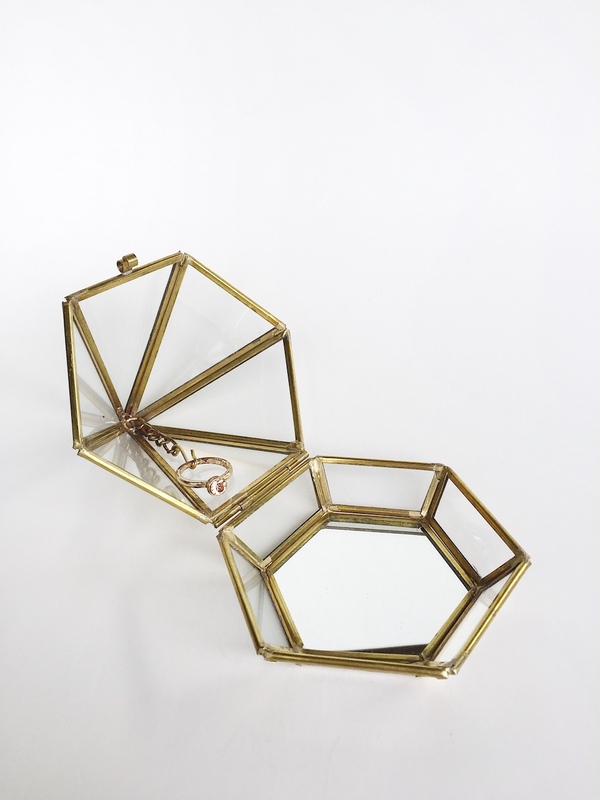 This modern and geometric gold iron and glass ring display box will show off your bling in a unique way for your photographer to style on your wedding day. 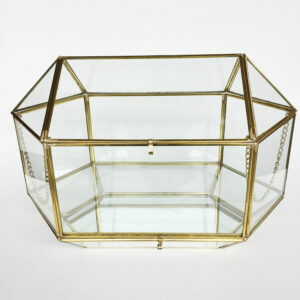 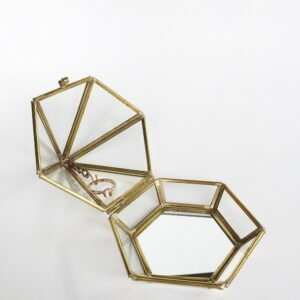 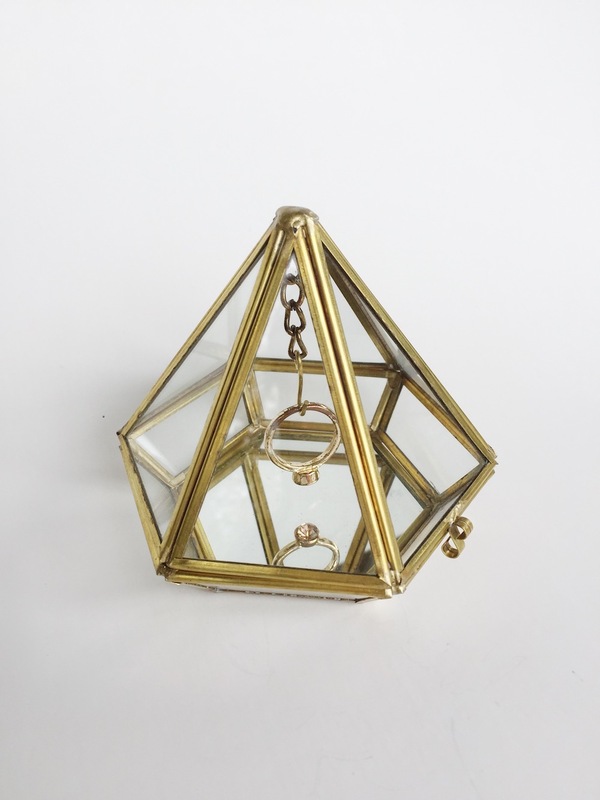 Measures 4.5″ H x 3.5″ W.
This modern geometric gold iron and glass ring display box will show off your bling in a unique way for your photographer to style your rings on your wedding day. 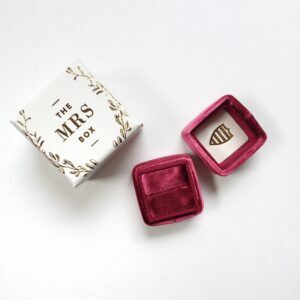 Perfect for those special detail shots! Measures 4.5″ H x 3.5″ W.